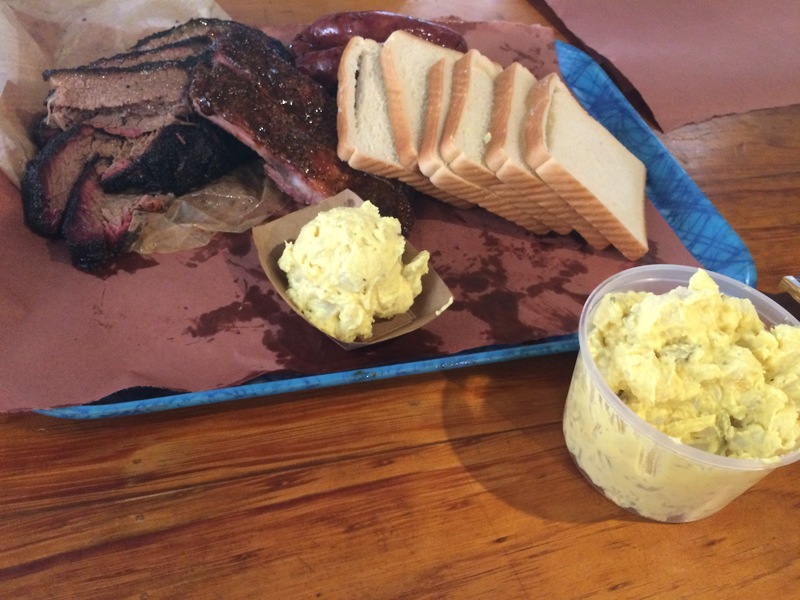 They call it a culinary religious experience in the heart of Texas. 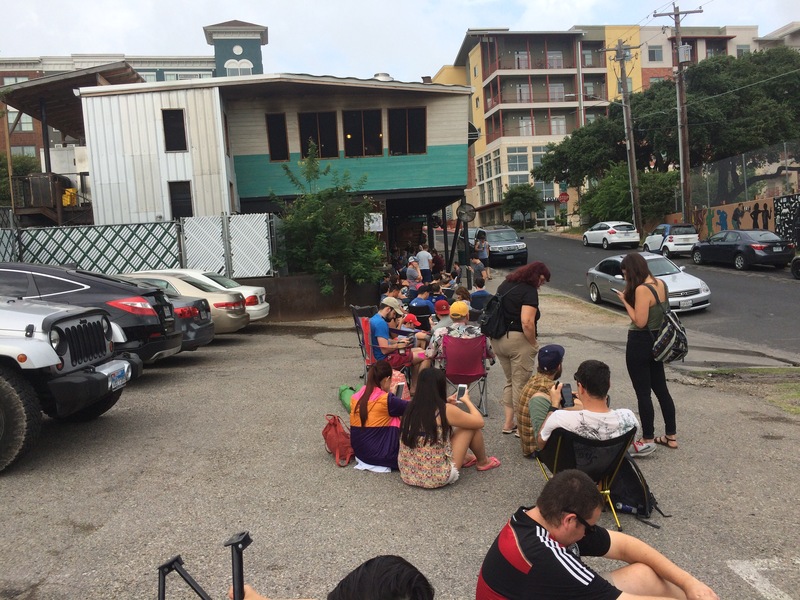 Since around 6am peopled lined up in the morning at Franklin BBQ to be amongst locals, tourists, and fascinated fans of BBQ. 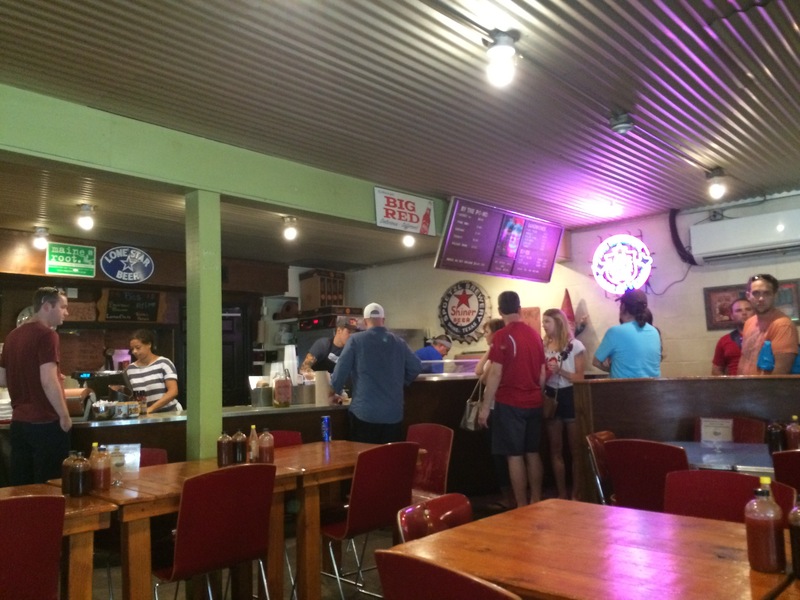 They come for the best BBQ in Texas, or some say. I got there around 8:30 and the line was already at the 2 hour mark at least according to a bearded man who boasted a belly providing testament he had quality checked many briscuits over the years. The place serves around 2k lbs of briscuit daily and once it runs out, it’s gone until the next day. I think the limited supply factor and promise from the founder of the company that he would never expand or franchise gives the place a certain mystic. This is the same concept behind Black Friday sales. We arrived and sat down and I realized another factor. There is only one line where people order their cuts one by one. This makes it incredibly slow compared to anything. Chipotle could probably process a line 10x as fast, however there wouldn’t be the certain marathon feel of crossing the finish line. I mean, people spend on the upwards of 5 hours for their food, so some one on one time with the man cutting your meat is the least they do. We sat down maybe 15 mins early as a person in our group did a big order instead of 5 seperate orders. 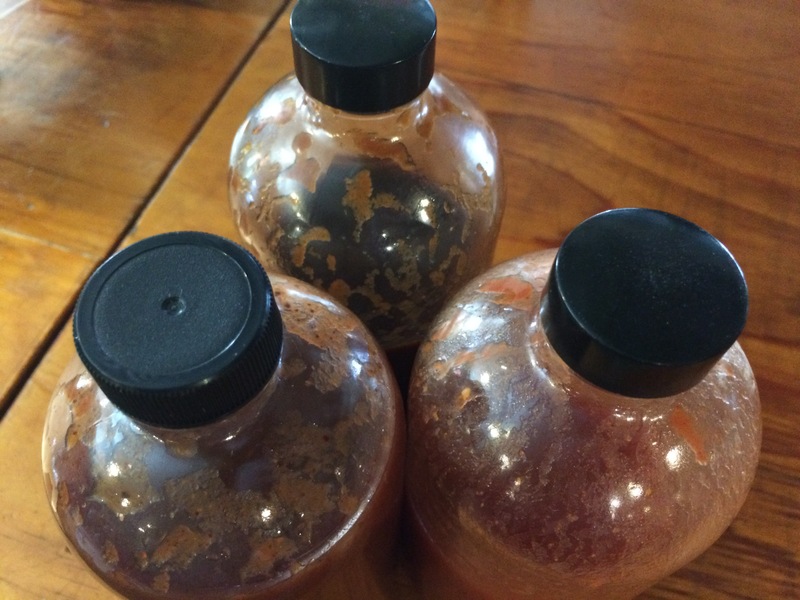 It kind of comes out to family style but since we all order by the pound, it results in the same, in 1/5th of the time. The downside was the bearded belly manager eyed us 6 times and then actually asked where in line our food orderers were. It was kind of annoying, considering it was 105 degree Texas heat and the fact they purposefully have few tables to sit at. It was the moment of truth. We got a bunch of briscuit and some ribs and some sausage. It came with bread and onions and pickles and we ordered potatoe salad. What did we think? We all agreed the briscuit was awesome. The sauces they had on the table were great as well. The ribs were terrific too. When they smoke the meat, they truly seem to rely on salt and pepper. They made the baby back ribs at Chiles seem like chewy dog food that was nuked and lathered with sauce. As for the sausage, we were split. Some said it was ok, while me and my wife said it was pretty greasy, so much so that it was the only thing we didn’t finish. The briscuit and ribs were an A. The sausage was like a B- at most. The line sucked. I would only do it once with that long of a wait. Now the black eye…The bathroom at Franklin BBQ is absolutely disgusting. It’s also right across the hall from the kitchen. Maybe they want to keep it in the same spot to keep the magic going, but at least tear down and remodel parts of it. 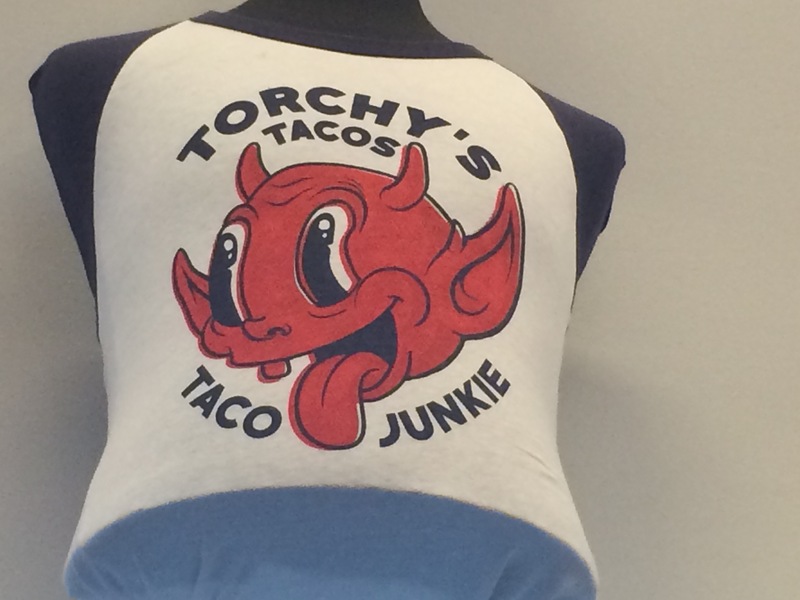 On South Congress Street in Austin, Texas you can partake in a variety of culinary delights. 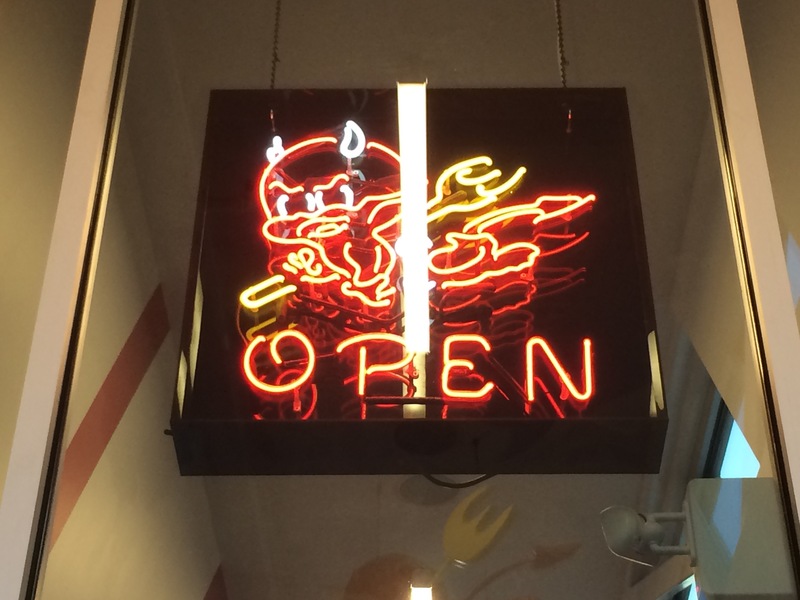 My meetup group decided to choose Torchy’s, a burrito/taco fast casual joint with the architecture of a Whataburger. At the door you can purchase a variety of swag. I particularly liked this version, but only if the signature sauce met the hype of image of hell in my mind. I mean, come on, the entire brand evoked hotness of food … supposedly. I ordered a grande burrito and a fountain drink. I almost ordered a glass bottle Coke just to fit in the local crowd. 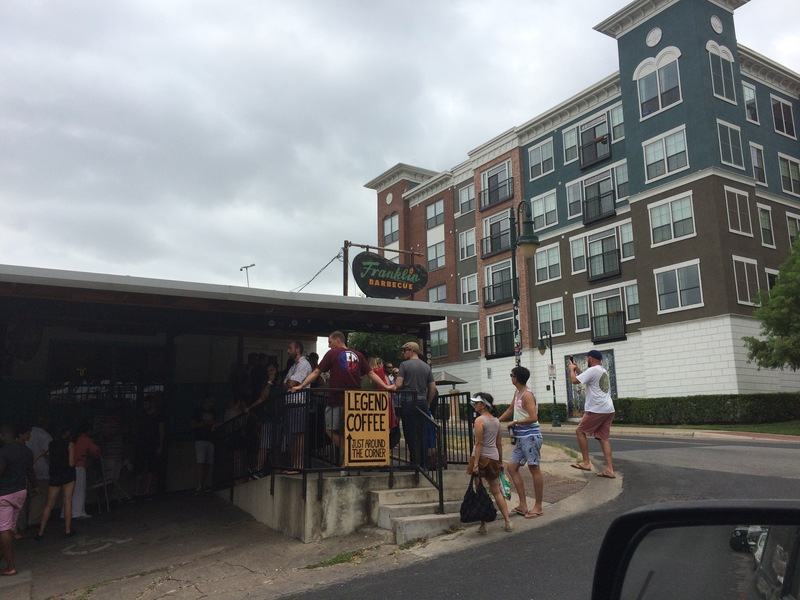 Austin is kind of like the Portland of the Midwest. Overall my bill was something like $10. This is it, the grande burrito itself. I asked for the hottest sauce which they put on the side. The burrito reminded me a little of Freebirds, but the hot sauce was better. It was hot, but didn’t quite live up the hype of hell inside a tortilla. It was kind of like a branding over promise and under deliver, but it was tasty. 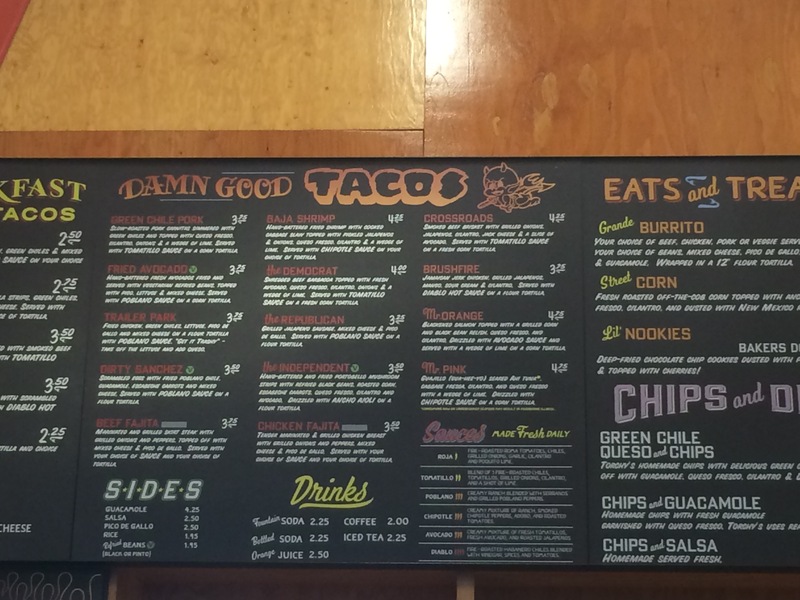 The folks I was with got the tacos and they said they enjoyed it. I looked around the table at the rest of the group and everything was chowd down so it had to be to everyone’s liking. I used to think Moes was a Chipotle ripoff. I had been a Chipotle loyalist since 1999 having gone to college in Colorado Springs. The odd thing is I started eating Moes during grad school, as there was one on campus. I ate there a ton mostly due to proximity and convenience, but to be honest, the food was pretty good too. I always remembered it for providing chips and salsa with the entre. I usually order a Homewrecker burrito. The taste is different than Chipotle. 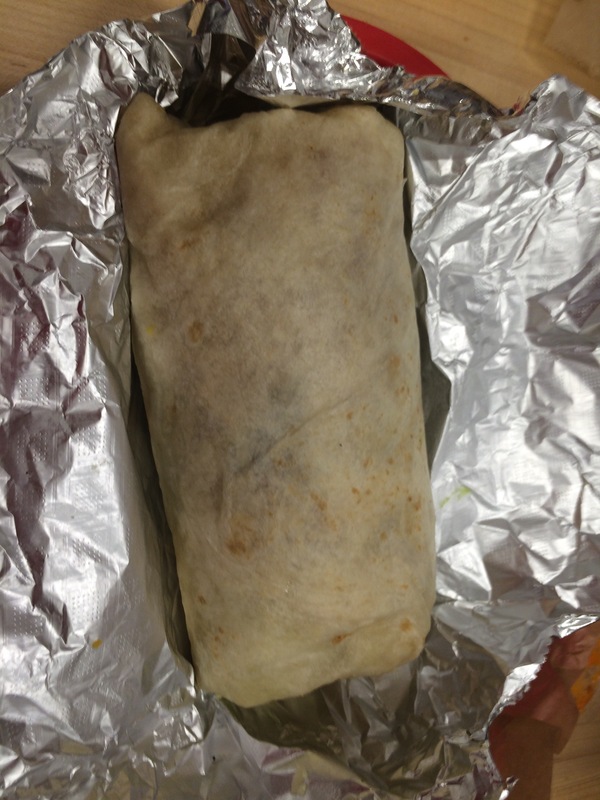 Compared to he fajita burrito I would take Chipotle over Moe’s, mostly because the food seems slightly more fresh. The one advantage of Moes to me is the salsa bar. I can pretty much make my burrito as hot as I want by adding salsa myself. The downside to Moes is the weird trash cans they use, making some places smell a little. Chipotle has a large bin to dump trash and place baskets. Moes has a tiny slot similar to burger joints. This makes it messy for patrons who always seem to miss when dumping bowls. Instead of having a worker (who also handles food orders) constantly wipe trash can rims, why not just have it like chipotle and just have the trash emptied more often. No smell. No missed food dumps. And people eating don’t have to watch the trash can cleaner also be the person handling food. I know some bean counter at Moe’s corporate made the decision because less plastic baskets are dumped in the trashcan (15 cents a basket if in 1000 piece bulk), but the entire experience and brand is destroyed with the mess and employees having to constantly clean it up. This was a Moe’s in Texas on 27 June. On another note, I recently had Moes in the Las Vegas Airport on a trip, and it was also an awkward experience and example of brand killing. The homewrecker was the most expensive of what I’ve ever paid for one (understand airports upcharge a ton like amusement parks) but it didn’t come with chips (no salsa bar). They made patrons pay for chips seperately. I asked and said chips came with it and the employee acted like I had no idea what I was saying, like it is preposterous that chips came with it. I said “I think it’s even on the website.” She said, “that’s only company stores.” Good job killing the brand. 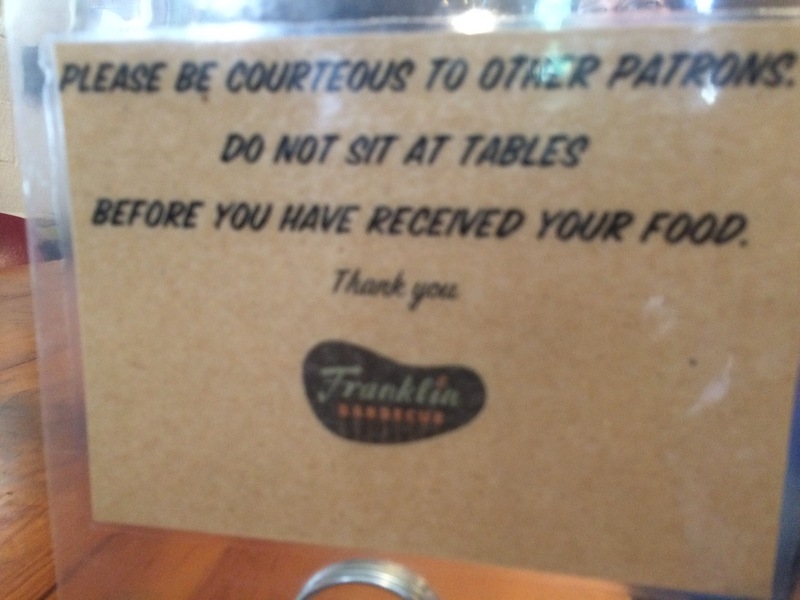 Then I ate at the few tables next to the food line, where another customer didn’t come for the next 20 minutes. A manager of some sort arrived and lectured the two women on food portions for 10 minutes. I mean, customers are all turning their heads and listening to the managers virtues of making the burritos as small as possible. Overfill on rice but go easy on the meat. Geeze. They should train without customers there, because we all probably felt ripped off in that moment. This occurred 22 June. Would you like a testosterone injection? I’ll do you one better. Then there were the transformer movies and I became jaded. I knew he was talented to make all sorts of action movies, perhaps even picking up the mantle of McTiernan, but all that was spent on CGI popcorn flicks. I warmed up a little with Pain & Gain, which I thought was pretty damn funny and went back to his roots as a buddy action movie director. I watched 13 hours and I’m here to say something I would not have imagined 5 years ago. 13 hours is a stupendous action film that focuses less on the politics and the grey area of international intervention and the repurcussions of it. There is no message of “Join Now.” There is no jingoistic good vs evil. Here, the Spartans aka contractors are the heroes of the film, something not recognized very much in military circles, especially after the Blackwater incident in Iraq gave the whole industry a black eye. Where is the line between uniformed combatants and personal security detail? Where does their authority come from? Can they act with their own conscience with rebellious patriotism that bureaucrats and cautious military brass wouldn’t want to risk? The casting was pretty damn good. John Krasinski was someone I didn’t see as a star, but now I do (let’s just hope he stays away from Romantic comedies) The other 5 men in the fire team all did a fine job. They looked like men who lived a life of guns, beards, and creatine. The movie had me focused until the very end. There are a certain number of films that you can only watch once. There Will Be Blood, Crash, The Ring … Ok, yeah, maybe there are a ton of movies that fit this bill. Last weekend, I watched 10 Cloverfield Lane which is a movie that was ok in the suspenseful category, but not spectacular enough for a second viewing. This was essentially a very low budget film with 3 actors. The only seasoned actor was John Goodman who is tasked to do all the acting. Part of me is unsure if the other two were told to play it dumb, but their acting was nonsensical. To be honest, they reminded me of when Seth Green was locked in a bathroom in Can’t Hardly Wait with the girl. They could be in th apocalypse but they couldn’t care less. To them, what is outside isn’t scary at all … only a creepy John Goodman. There are some gimmicks, and some poor special effects in the last act, which make the movie unwatchable on a second viewing. The ending is laughable horrendous and reminded me of some outer limits episode.